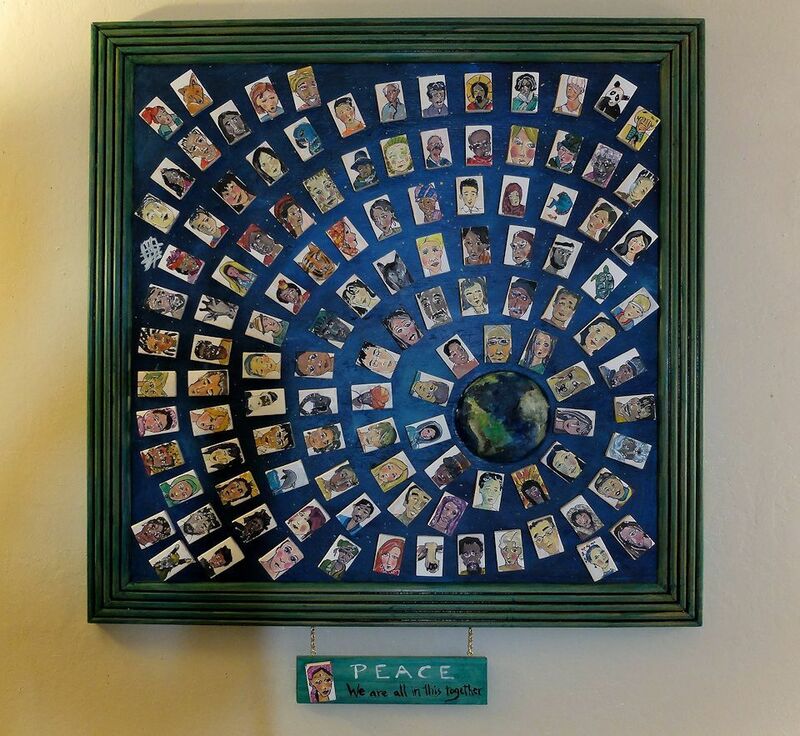 P-E-A-C-E Painting Project – How I created and built this project as a prayer for World Peace. Last week I shared with you my artwork rejection as well as my good fortune with this piece being juried into the Graton Gallery Artists On Fire Exhibit. Needless to say I was/am thrilled! I was thinking that perhaps you might be interested in how I put this piece together. So here’s a little vid: from gessoed matchboxes, to individually painted faces hopefully representing people from different continents, races, ages, and some animals for good measure, right up to and including the refurbishing of an old mirror frame….and finally exhibited. Hope you enjoy a quick peek into my process.